Trevor Noah is the most successful comedian in Africa. He was recently chosen to become the next host of the Emmy and Peabody Award-winning “The Daily Show” on Comedy Central, currently hosted by Jon Stewart. Noah joined “The Daily Show with Jon Stewart” in 2014 as a contributor. 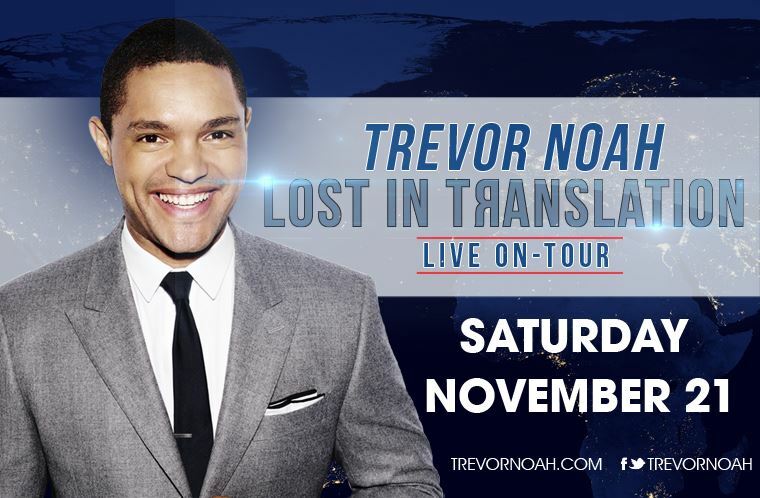 Born in South Africa to a black South African mother and a white European father, Noah has hosted numerous television shows including South Africa’s music, television and film awards, the South African Comedy Festival and two seasons of his own late night talk show, “Tonight with Trevor Noah.” He made his U.S. television debut in 2012 on “The Tonight Show with Jay Leno” and has also appeared on Late Show with David Letterman, becoming the first South African stand-up comedian to appear on either late night show. Noah’s one-man show “The Racist” at the 2012 Edinburgh Fringe was a sold out run that became one of the most talked about shows at the Festival that year. That same year, Noah was the subject of David Paul Meyer’s award-winning documentary filmYou Laugh But It’s True which tells the story of his remarkable career in post-apartheid South Africa. His Showtime comedy special, “Trevor Noah: African American” premiered in 2013. Recently, Noah performed for the Royal Family at the Royal Variety Performance. Noah was featured on the October 2014 cover of GQ South Africa and has been profiled in Rolling Stone, Newsweek and The Wall Street Journal, and by CNNand NPR’s Talk of the Nation. He was nominated for “Personality of the Year” at the 2014 MTV Africa Music Awards. He continues to tour all over the world and has performed in front of sold out crowds at the Hammersmith Apollo in London and the Sydney Opera House in Australia as well as many US cities.